There's the idea to build a business out of, but how would I know I'm not infringing any of those thousands of applications and grants? It seems to be impossible to read the claims in all of those in details. I'm interested to know what the routine is here as I've never done it before and I do not want to introduce any issues relating to infringement, so what are my options of preventing legal actions and reasonable loyalties? The typical approach is to perform a "freedom-to-operate" analysis. You can take a crack at this yourself using patent searching tools like Google Patents or my preference The Lens. Patent searching is a skill so I would advise starting with a broad search and when you find patents that are relevant (not necessarily the same idea, but with some similarities) then look at those patent's citations. After a few rounds of this you can get a rough idea of what is out there. When you look at a patent, don't read the whole thing. I usually read the abstract and then go straight to the claims. Focus on the independent claims. Those are the ones that don't reference other claims. If you can't figure out the claims, then reviewing the figures and text of the patent might be necessary. Interpreting claims is a another skill and you may need professional help to do an adequate job of it. In any case doing your own search first will make consulting with a patent attorney or agent more efficient and thus less expensive. If there is a specific patent or two you need help interpreting, then posting a question on this site might be a good step. At first it depends in which countries is your market, i.e. in which countries you are planning to start your business. You may start patent search in random patent databases to get some preliminary overview about possible relevant patent documents, but finally you need to analyze the legal and geographic protection coverage and statuses of critical patents in respect of those countries where you are planning to do your business (e.g. production, selling, etc.). 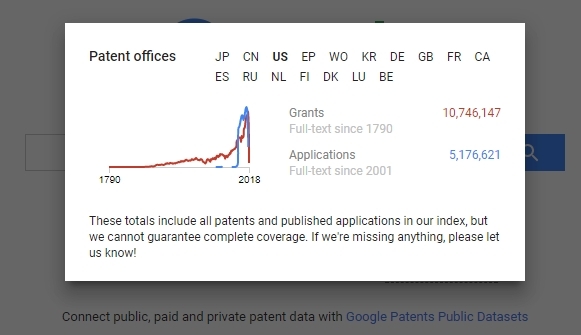 For that kind of patent search like freedom to operate, Google Patents may not be very good because the coverage of countries is relatively small, the search features are not very good and the content of Google Patents is not up to date. Whatever of free patent search tools or databases you use (Google Patents, The Lens, Espacenet, Patentscope, Depatisnet, PatentInspiration, etc), before detailed analysis and any decisions you always need to check national patent databases and registers also. Only national patent registers can give you most up to date and correct information. When the possible critical and valid patents in relevant countries has been detected, then claim analysis and comparing with your products starts. At the same time you need to continue monitoring publications of new patent applications. But these are just few aspects to consider. To start, the best thing is to consult with patent attorney. Not the answer you're looking for? Browse other questions tagged patent-infringement patent-applications application united-states granted or ask your own question. How to tell if various non US patents are granted vs applications?